Over 50 employees of St James Mission Hospital in Thaba-Tseka have downed tools this week over unpaid salaries. The strike, which started on Tuesday, has since extended to the hospital’s three filter clinics, namely Lephoi, Popa and Marakabei, paralyzing health services in the entire Mantšonyane community where the health centres serve. The disgruntled staffers took action demanding payment of their June salaries. Sources on the ground told MNN Centre for Investigative Journalism (MNNCIJ) this week the staff resorted to stop working after payment of their salaries, which is normally issued on the 25th of every month, was delayed until they decided to down tools on Tuesday. This was 16 days after their payday was missed. “We usually get paid on the 25th of every month but June came and went without no explanation from the management so we decided to stop working,” an employee who opted for anonymity for fear of victimisation said. St James Mission Hospital is located in Mantšonyane in the district of Thaba-Tseka and is the only Anglican mission hospital in the Anglican Province of Southern Africa. The main hospital facilities include an inpatient ward, outpatient clinic, operating theater, maternity ward, laboratory, pharmacy, and a radiology department. In addition to regular hospital services, it runs a Primary Health Care department responsible for the rural healthcare centres; Lephoi, Popa, Ha-Mafa and Marakabei together with several other community development programmes. Serving about 70 000 population of Basotho living in Mantšonyane, the hospital has 55 beds and total staff roll of nearly 120. John Mahooana, the hospital’s Chief Executive Officer, has confirmed to the Centre that some of his staff had gone on strike. “We have some workers who are still attending to patients but a large number of them stopped working yesterday (Tuesday),” he said. The CEO added: “We had been waiting for our quarterly subvention from the government for the months of April, May and June, but with no communication from the government we didn’t know what to say to staff to allay their grievances because we are also in the dark on how soon we will receive the money”. He continued: “We are doing follow-ups with the Ministry of Health through the Christian Health Association of Lesotho (CHAL) and we have been told that the money was going through different processes, which unfortunately we don’t know. We have however not been told of a timeline to expect the payment”. However, the Ministry of Health has distanced itself from the delays, saying it released the funds last month. The CEO noted the strike had hampered health service delivery, “especially because the hospital serves a large number of Basotho. Yes, the hospital is not closed but the level of service delivery is not up to scratch”. 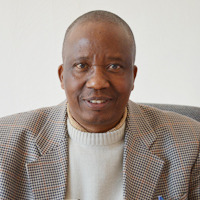 Meanwhile, secretary general of the Lesotho Workers Association (Lewa), Hlalefang Seoaholimo, told the Centre he had observed the state of affairs at the hospital. The association represents some of the workers. Seoaholimo said: “The workers are within their legal confines to go on strike. If an employer has promised an employee payment for work and in this case on the 25th of every month, it is the employee’s right to demand their payment in however way, including downing tools. “I went to see the state of living and it was devastating. The hospital does not provide for the workers so basically lack of salary means no ability to buy food or primary needs. Cupboards are empty. It is illegal that the workers have not been paid without satisfactory explanation”. 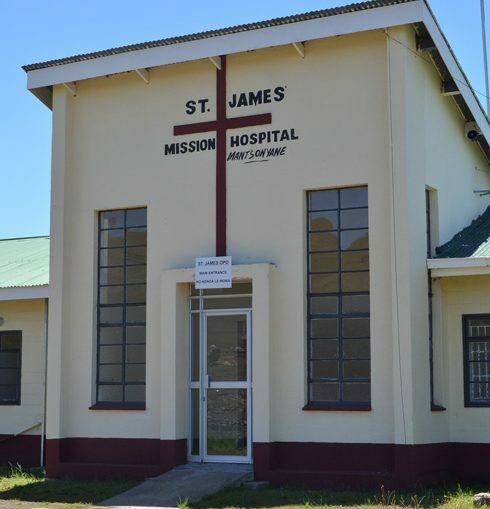 The St James Mission Hospital budget, according to its records, is around M10 million per year. “80 percent of this budget is provided by The Government of Lesotho while the remaining 20 percent is expected to come from The Anglican Diocese of Lesotho…,” the record notes. Even with the support from the government, diocese, and other donors the hospital records note that it operates at a M2 million deficit every year. “Government funds provide for operational costs directly linking to medical care and for the salaries of professional employees like doctors, nurses, medical technicians but it does not cover the salaries of other vital hospital employees which includes the maintenance staff, domestic staff, and administration staff. “These funds do not cover the upkeep of hospital buildings and vehicles, including staff housing and off-site clinics,” the record showed adding the costs which are not covered by government funds make up a large portion of the hospital’s budget. The health minister Nkaku Kabi, when contacted for clarity on the matter, told the Centre his ministry had released the funds. “CHAL money was processed and submitted to Finance on June 20. The delay has nothing to do with the government’s announcement that it was broke,” the minister said. The St. James hospital is a member CHAL. CHAL links together all mission hospitals in Lesotho to form a network that allows members to share ideas, resources, and support that will better the health care available to Basotho. Repeated attempts to secure a comment from CHAL Executive Director, Lebohang Mothae, were unsuccessful. The Centre further emailed Mothae but there was response until time of publishing.